Hello and welcome to another episode of Searching Standard. Charizard has always been one of my favorite Pokemon, so whenever I find a deck that features Charizard and looks fun, I'm sure to check it out. Imagine my delight while perusing Reddit and finding this week's Searching Standard decklist. It was posted by a user named Begbie00, and it features Charizard doing what it does best -- attacking for a ton of damage. Let's take a look at the deck. Charizard TEU 14 is the star of the show in this deck, and it's your main attacker. 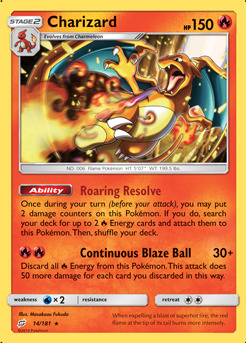 With its Roaring Resolve Ability you're able to search your deck for up to two Fire Energy 2 cards and attach them to Charizard TEU 14 prior to attacking. Conveniently, Charizard TEU 14's Continuous Blaze Ball attack requires two Fire Energy 2 to use and does a minimum of 130 damage, with the potential for more if you have additional Fire Energy 2 attached to Charizard TEU 14. However, using this attack does come with a cost. You have to discard all Fire Energy 2 attached to Charizard TEU 14. 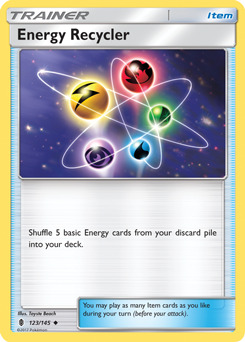 Luckily, this deck includes a variety of ways to be able to reuse the Fire Energy 2 that ends up in your discard pile. 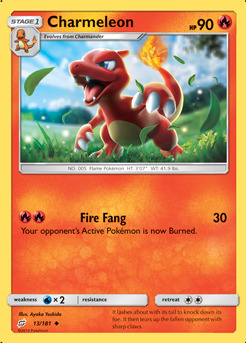 As you may have noticed, there is only a single copy of Charmeleon TEU 13 in this deck, which would normally make evolving from Charmander TEU 12 into Charizard TEU 14 difficult at best. That's where Rare Candy CES 142 comes in. With Rare Candy CES 142 you're able to go straight from Basic Charmander TEU 12 to Stage 2 Charizard TEU 14 in one shot. Making sure you have access to Rare Candy CES 142 when you need it is vital in this deck. 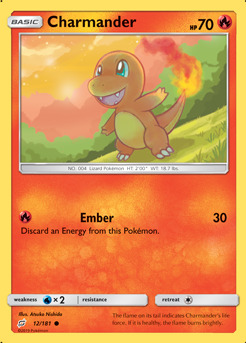 Since you need to make sure you can evolve into Charizard TEU 14 as quickly as possible, you'll need to rely on your Trainer cards to help you cycle through your deck so you can find what you need when you need it. Jirachi TEU 99 helps a lot in that department with its Stellar Wish Ability. 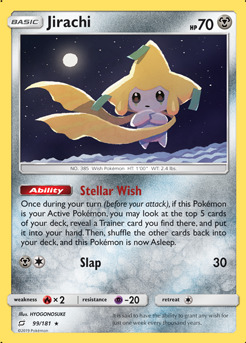 In fact, Stellar Wish is the only reason Jirachi TEU 99 is included in this deck at all since you'll never be able to use its Slap attack. 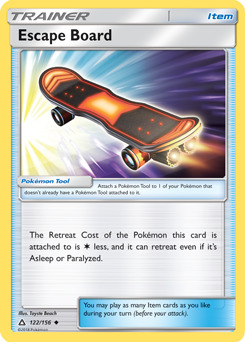 When you use Stellar Wish, Jirachi TEU 99 will fall asleep, so it's important to have an Escape Board UPR 122 attached to it to allow it to retreat for free even while asleep. 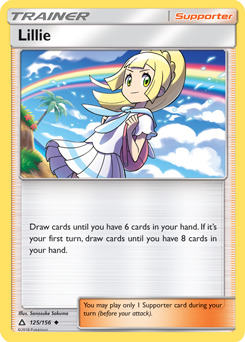 Victini Prism Star DRM 7 is a great secondary attacker for this deck. Its Infinity attack can potentially deal out a ton of damage. 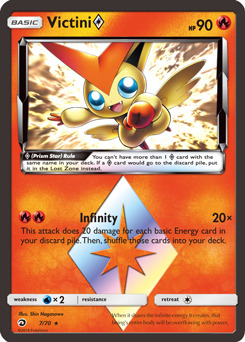 More importantly, by using Infinity, any Energy cards in your discard pile will be shuffled back into your deck where Charizard TEU 14 can find them with its Roaring Resolve Ability. Both Energy Recycler GRI 123 and Energy Recycle System CES 128 allow you to get multiple uses out of your Energy cards that have gone to your discard pile. 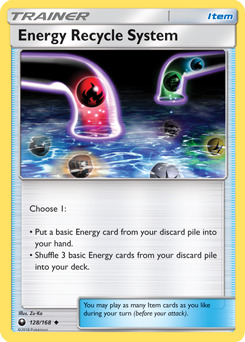 With Energy Recycle System CES 128, the majority of the time you'll want to shuffle three basic Energy cards from your discard pile into your deck, but if dealing an additional 50 damage with Charizard TEU 14's Continuous Blaze Ball attack will win you the game, you might choose to put one basic Energy card from your discard into your hand instead. 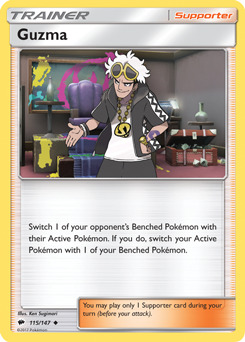 Switch SUM 132 and Guzma BUS 115 are both in this deck to ensure that you never get stuck with a sleeping Jirachi TEU 99 as your Active Pokemon. They can both also set up advantageous attacks for you as well. Nest Ball SUM 123 can't help you locate Charmeleon TEU 13 or Charizard TEU 14, while Ultra Ball SLG 68 can find whatever Pokemon you need at the time. 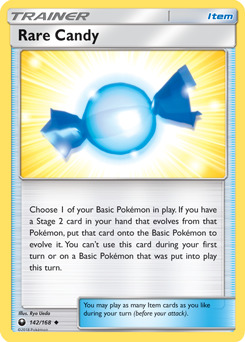 If you're able to pay the cost of Ultra Ball SLG 68 by discarding two Fire Energy 2, there's a good chance you'll be able to get those Energy cards back as the game goes on. While both Erika's Hospitality TEU 140 and Lillie UPR 125 are great cards that allow you to draw additional cards, you'll want to play Erika's Hospitality TEU 140 later in the game after you've used Lillie UPR 125, if possible. 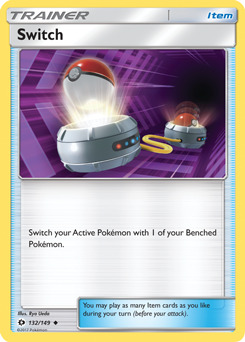 That way your opponent will have more Benched Pokemon in play, allowing you to draw more cards. Since this deck isn't playing any Pokemon-GX, Shrine of Punishment CES 143 is a safe Stadium to play that can be devastating against certain decks. 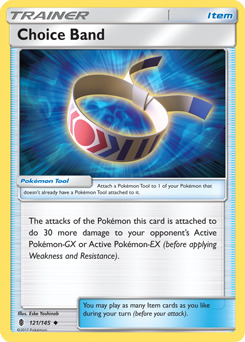 Choice Band GRI 121 is included as well as a way to deal extra damage to an opponent's Pokemon-GX. 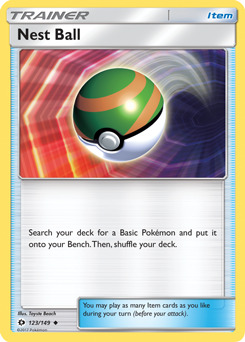 These are both obviously situational cards and could both be discarded to use Ultra Ball SLG 68 if needed. 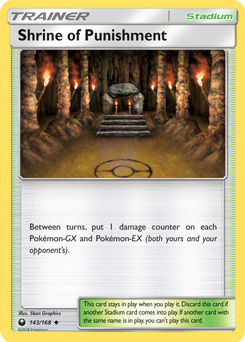 Sometimes, your opponent will be able to deal enough damage to knock out your Active Pokemon. Through the natural ebb and flow of the game, it happens. 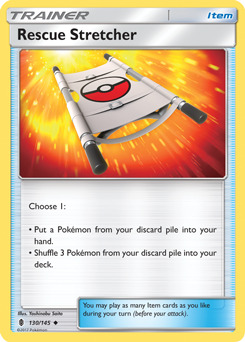 When it does, you'll be happy to have Rescue Stretcher GRI 130 in your deck. 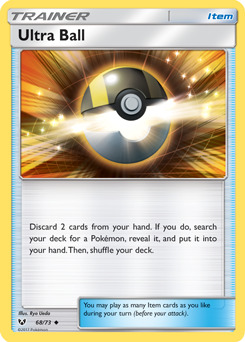 Most of the time, you'll use it to put a Pokemon from your discard pile into your hand, allowing you to return a healthy Charizard TEU 14 into play. 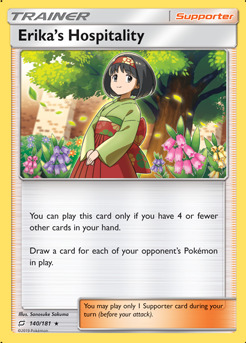 Against certain stall decks though, you might want to choose the other option, although this is pretty rare. There you have it, a Charizard deck that can come out quickly and swing for a lot of damage. Thank you to Reddit user Begbie00 for posting this decklist.